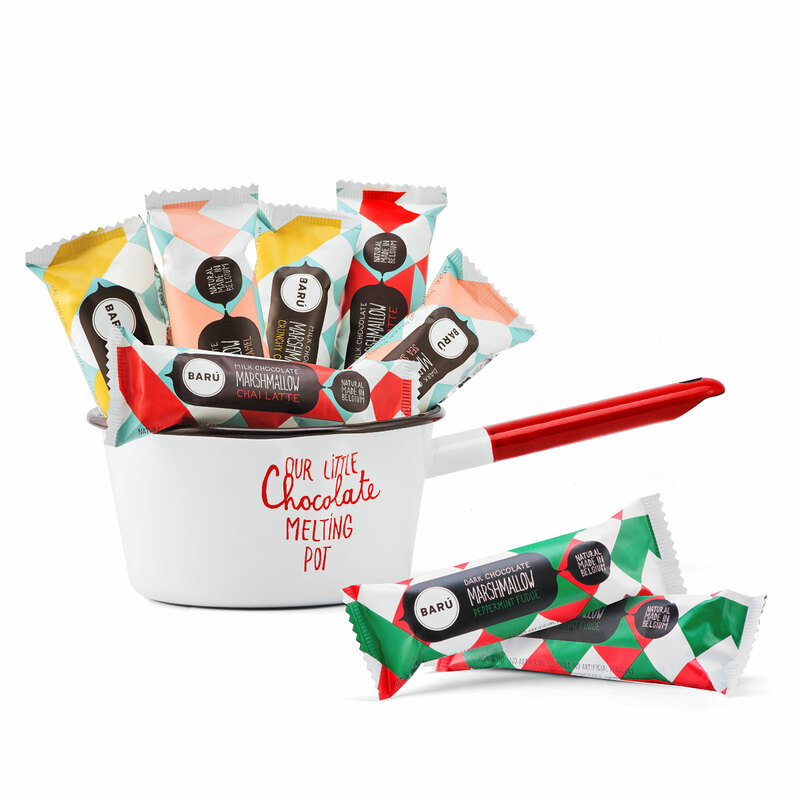 Make the day brighter with this dreamy assortment of Barú Belgian chocolate and marshmallow sweets. Each Barú confection is made by hand in small batches from premium ingredients. Packed into a cute enemal melting pot, discover the delicious marshmallow bars in four different flavours, including Dark Chocolate Sea Salt Caramel, Milk Chocolate Crunchy Cashew, Milk Chocolate Chai Latte and Dark chocolate Peppermint Fudge. 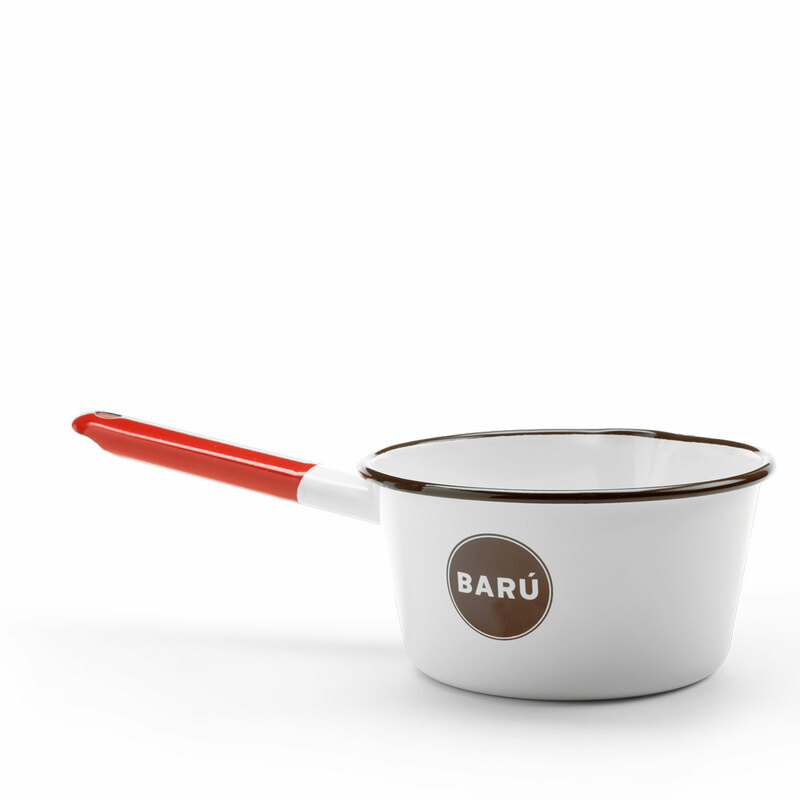 Delight your friends and family with the flavor and creativity of Barú!